I`ve not moth trapped for about a week now, as the weather has been so wet and/or windy - and the spring is certainly slower than last year, judging by what is flowering in my garden. I offer this quick non-moth blog, as I have no moths to report! 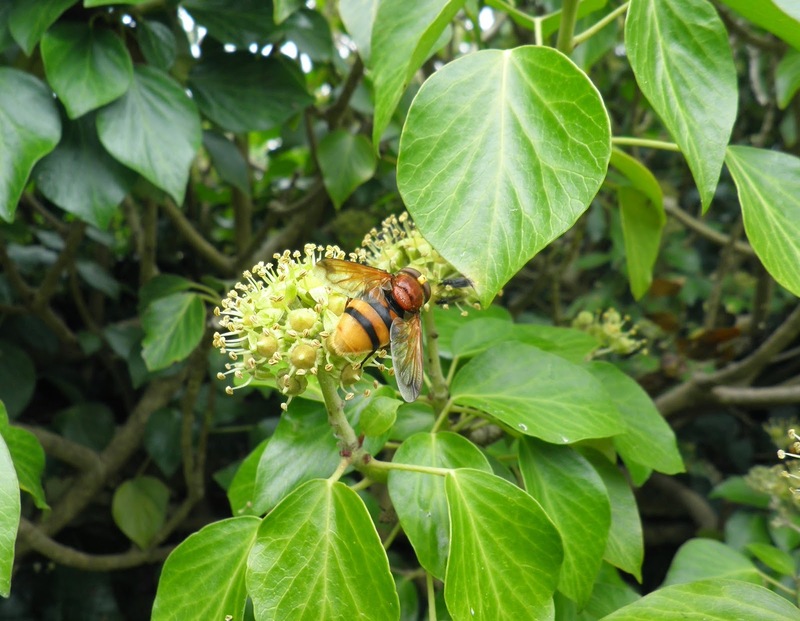 Veronica Haines, a Llanelli Naturalists Society member sent me this photograph of the large hoverfly Volucella zonaria which was taken in her Pwll garden (literally just down the road from me) on 31st August 2014. Another Llanelli Nats member had this species in her Llanelli town garden in 2013 and Jon Baker also saw it near the Tesco store in Carmarthen in early September 2104. It used to be a hoverfly of mostly SE England, but it has spread in recent years. I may have seen one in my Pwll garden a few years back, but my view was brief and inconclusive - so it was a `non record`. Please look out for this species in your garden this summer. As always, click on the above photo to enlarge.